slice is an exhibition of paintings that consider the alienation of unknown spaces and the sense of otherness and stimulation experienced when exploring a new city. 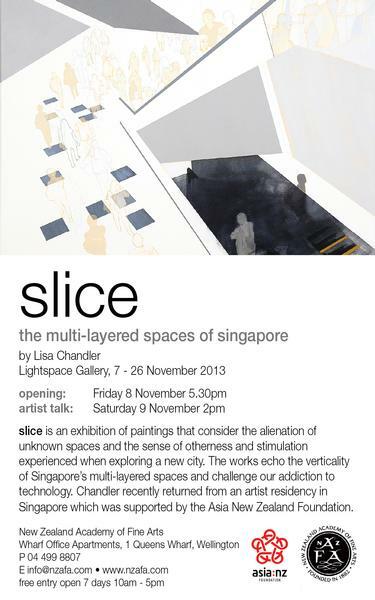 The works echo the verticality of Singapore’s multi-layered spaces and challenge our addiction to technology. Chandler recently returned from an artist residency in Singapore which was supported by the Asia New Zealand Foundation.